"We aren't actually hiking the Camino de Santiago, are we?" 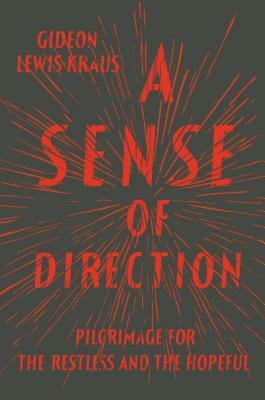 my husband asked after I had subjected him to yet another story from Gideon Lewis-Kraus's book A Sense of Direction: Pilgrimages for the Restless and Hopeful. We were sitting on our porch on a warm afternoon in late August. The air felt like summer, but a new sense of urgency hinted that it wouldn't last forever. Birds flitted back and forth to the feeders, anxious to prepare the season's last offspring to leave the nest while our bees fiercely put away food for the winter, the smell of honey curling softly from the hives. The subtle evidence of the fast-approaching fall made my stomach clench, and I returned to my story, ignoring my husband's clear lack of interest. I had been hooked on the book, which chronicles three separate pilgrimages, from the first page, and I had talked about little else since. "You get stamps at each stop," I enthused, as if I were still in kindergarten anticipating rewards for good behavior. "And no, we're not hiking it. The Camino is too crowded these days, but there are pilgrimages all over Europe, and you get stamps everywhere." My husband remained unconvinced, but I knew what might change his mind: "Sometimes, you get to stay in monasteries." That argument hit home, as I knew it would. Despite his confirmed agnosticism, my husband is quite keen on churches and monasteries, and now a gleam of interest appeared in his eyes. He nodded, but then changed the topic to one I had hoped to avoid. "Has she started to pack yet?" he asked. I turned a page in my book and returned to the heat of the Spanish countryside, hoping to escape reality for a while longer. Our only daughter was getting ready to leave for college. It was the final stage in a journey that had begun a couple of years earlier with a trickle of college visits, continuing through an avalanche of emails and applications, and culminating in her decision to attend a college a day's drive away. Now, the time had come for her to leave home. Of course, I had known for years that the day would come and, of course, had conjured a vivid image of it in my mind: I would be watching, teary-eyed and wistful while I lamented the passage of time. My daughter, meanwhile, would pack her belongings, brimming with excitement for her new, independent life. Like many aspects of parenting, reality did not match my expectations. Instead, my usually calm and confident daughter transformed in the last few weeks before her departure. She became so anxious that I became an enthusiastic cheerleader whose primary responsibility was convincing my terrified teenager that she was going to be okay. I comforted, reassured, and consoled her while restocking our ever declining supply of extra-soft tissues. In quiet moments, between the boxes, packing lists, and tears, I coped the way I always do: I went on a reading bender. Reading binges have been regular, if occasional, parts of my life for many years. Suddenly, I'm drawn to a narrow topic or a specific author, and I launch an obsessive quest to read everything I can get my hands on. I keep reading until my interest wanes, and I surface, sometimes months later, reeling and blinking, bewildered at the world, which always seems to have shifted in my absence. This time, I craved to read about travel, but as usual, my interest was much more specific, and the books had to meet certain criteria: the journey had to be long, non-motorized, and challenging, with a clear finish line. I started by rereading legendary travel writer Patrick Leigh Fermor's trilogy about his 1934 hike between Rotterdam and Constantinople. Then, I moved on to Gideon Lewis-Kraus's more contemporary account, my reading only interrupted by a frantic search for new books. Although different in time and place, the books all shared the theme of a "hero's journey"; a reluctant and unprepared hero is called to adventure during which he or she encounters and overcomes obstacles to reach the end a wiser and stronger person. I had no idea why I was reading the books. At first, I suspected that I only wanted to escape from a complicated time in my life. Amid my daughter's anguish about the present and my concern for the future, perhaps I longed for the exquisite simplicity of a long hike with a clear goal: to get to the end. If I were only looking for escape, any travel book should have worked. That didn't explain my obsession with long hikes. The odd thing about it was that I had no interest in actually following in anybody's footsteps. Although I spend most of my vacations hiking, the idea of camping or communal sleeping quarters doesn't appeal to me anymore. Part of the fun these days is knowing that a glass of wine and a comfortable bed are waiting for me at the end of a long day. But I kept reading the books. Not until months later, after the leaves had turned and my daughter was happily adjusting to college, did I begin to understand: I wasn't interested in the journey as much as the transformation the hikers were seeking. The travelers were much younger than I am now, from different countries, and different time periods, but they had all arrived at a turning point in their lives and needed to answer the perennial question of what to do next. They left their normal existence behind in hopes that a long journey away from everyday distractions would provide them with the clarity they needed. By using a long hike this way, they followed in the well-trodden footsteps of pilgrims who for centuries have left their homes to seek spiritual renewal and answers to existential questions on the open road. Although I was at a different stage, my life, too, was in transition, and I needed to answer similar questions. My daughter's departure signaled an end to a chapter in my life that made me feel profoundly disoriented, as if I had been blindfolded, spun around, and left to fumble my way forward. My familiar surroundings now seemed distorted and questions about my own purpose and identity that I believed I had resolved years ago emerged from the depths of my mind screaming for attention. As I didn't have time to address them, I had unconsciously chosen books that would help me navigate. They all described a confusion that I, too, felt as my life was changing. 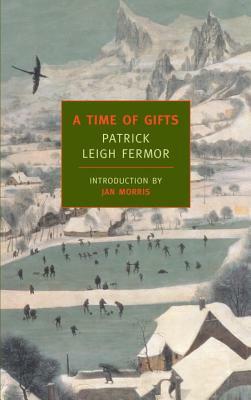 After Patrick Leigh Fermor was expelled from school, he found himself at loose ends. Unable to support himself as a writer in London, he was soon short of both money and a plan for the future. As a remedy, he decided to walk across Europe in 1934 and chronicled his experiences in his journals. Eight decades later, Gideon Lewis-Krauss was at a crossroads. Worried that he was missing out on creative and exciting experiences, he had moved to Berlin, but after about a year of free-flowing partying, he began to ask whether his life needed more structure. During an alcohol-fueled weekend in Estonia, he decided to accept his friend's invitation to hike the Camino de Santiago in hopes of finding focus in his life. He valued the experience so much that he completed several more pilgrimages, which provided him with the structure that he needed to move forward with his life. Some embark on long hikes for darker reasons. 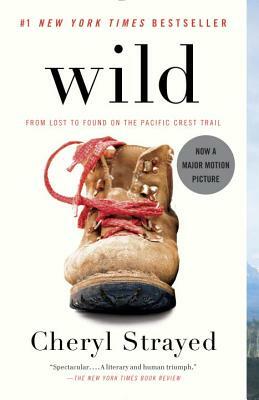 Cheryl Strayed, arguably today's most famous pilgrim, decided to hike the Pacific Crest Trail as a way to end her self-destructive behavior, which had begun after the death of her mother and had destroyed her marriage. She, like most other pilgrims, hoped that the hike would allow her a new beginning. At first, I dismissed the idea that I was drawn to the books because I needed to examine my own life. After all, I wasn't worried about my dark side or my lack of focus or stability. On the contrary, after many years of the strict time management required of modern parents, my life felt too structured. I feared that unless I spent some serious time considering my options, I would still be in the same place in forty years, clinging to old habits and patterns that no longer fit. The thought terrified me. The structure and stability that the travelers in my books were seeking had become less of a comfort to me and more like a prison. Although my life didn't allow me the luxury of an extended absence, I relished the idea of taking a break to figure out what to do with the rest of my life. All journeys come to an end. Patrick Leigh Fermor reached Constantinople after almost a year on the road and Gideon Lewis-Krauss made it to Santiago de Compostela. The problem with life, though, is that endings are usually blurry and there's no time to rest. The rest of your life begins the second you cross the finish line. After arriving in Constantinople, Leigh Fermor continued to travel in the region until the beginning of World War II when he enlisted in the British armed forces. He was decorated for his heroic services as an intelligence officer and afterward became a celebrated travel writer. Gideon Lewis-Krauss completed several additional pilgrimages and eventually resolved his complicated relationship with his father. After she reached Oregon, Cheryl Strayed stayed in Portland where she built her life as a writer. I maintained my reading binge for nearly four months, and my daughter was almost due home for Thanksgiving when I noticed my interest fading. At the time, I was reading about a hike in the Alps, but as the author slowly ambled across France, I grew tired of the constant complaining. All heroes on long adventures have reason to complain: their legs and backs ache, toenails fall off, and the weather's either too hot, too cold, or too wet. All of a sudden, though, even legitimate complaints began to sound more like whining. "I'm sick of reading about blisters," I texted my daughter, the only person familiar enough with my reading to understand what I was talking about. I didn't even finish the last book. I just threw it on top of my donation pile and moved on. My subconscious was telling me that although I had learned how other people had addressed the important questions, I now needed to implement changes in my own life. While those travelers were looking for plans and stability, I'm trying to embrace less structure and more adventure. That's the danger of inspiring reading; I now want to embark on my own journey. I have decided to take a sabbatical from my work to contemplate what to do next. Whether it will include an actual pilgrimage with hiking poles and a backpack, I'm not sure. To gain a new focus in my life, I need to let go of the parts of it that no longer make sense. As I'm usually a timid and regimented person, the prospect of leaving the familiar is terrifying. I may be making the mistake of my life. But as Patrick Leigh Fermor said in the beginning of A Time of Gifts, the first book in his trilogy, "All of a sudden, this was not merely obvious, but the only thing to do."